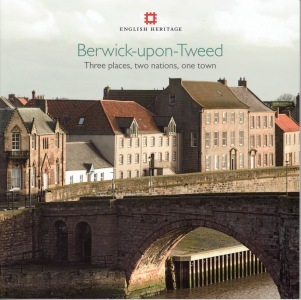 Nikolaus Pevsner described Berwick-upon-Tweed as ‘one of the most exciting towns in England’ [Nikolaus Pevsner, Buildings of England: Northumberland (1957), 88] – a place where an absorbing historical tale can still be read in the dense fabric of its old streets and buildings. It attracts not only day-trippers and holidaymakers but also new residents who have learnt to appreciate the spirit of the place. But outsiders all too easily confine their attention to the space within the impressive Elizabethan ramparts, while local people are sometimes unaware or dismissive of the wider significance of the very things that they know so intimately. Berwick deserves to be known better, and to be celebrated not just as a vivid reminder of what many other towns were once like, but more especially as something unique and distinctive, shaped by a peculiar combination of historical and geographical circumstances. This distinctiveness is acutely apparent as one passes between Berwick and the contrasting, but historically intertwined, settlements of Tweedmouth and Spittal. This book presents something of the wealth of historic interest encapsulated in Berwick, Tweedmouth and Spittal, and explains how these places came to assume such varied and distinctive forms. Above all, it urges that a town anxious for stability and prosperity in the future must know where it has come from as well as where it is going.